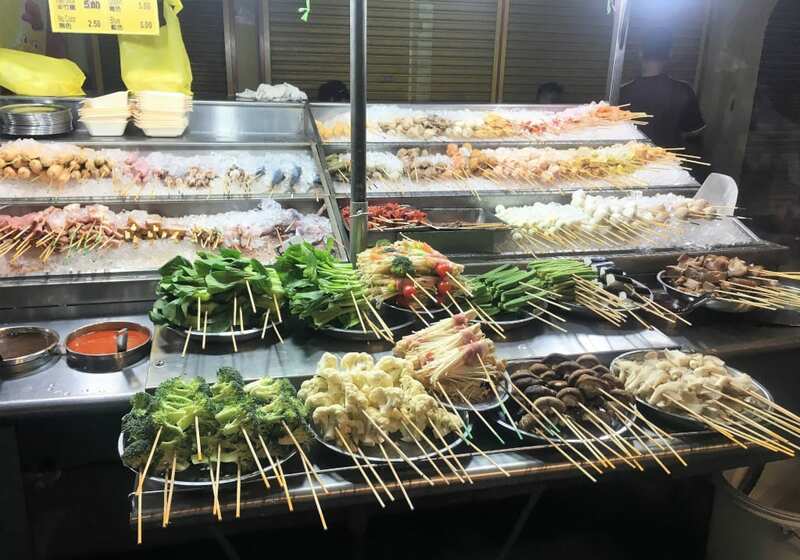 On the first leg of their Malaysia travel adventures Roger Hermiston and Eileen Wise discover the capital Kuala Lumpur’s food and art scene, as well as some cricket. We sat sipping the first cocktails of our holiday in the buzzy Man Tao rooftop restaurant on the 21st floor of downtown Hotel Stripes, seemingly in touching distance of the vast array of Kuala Lumpur’s immense skyscrapers across a shimmering infinity pool. Suddenly, the easy rhythm of the bar’s ubiquitous house music was interrupted by a loud, amplified chanting sound. It was an unusual collision of sounds. This audio battle was, for the next minute or so, comfortably won by the muezzin at the nearby Surau Amani Al-Rahman mosque, who was summoning the faithful to prayer at sunset. Modernity had been forced to give way to tradition, a juxtaposition of the new and the old, we would discover throughout our travels. 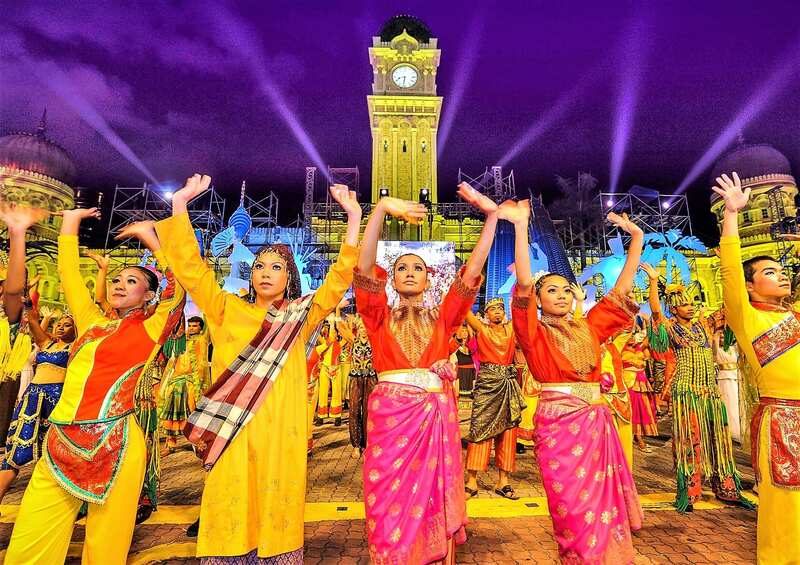 It encapsulated the very essence of 21st century Malaysia – a young, vibrant nation striding out in this technological age, yet all the while careful to observe its social, cultural and religious heritage. We spent three days in Kuala Lumpur, or KL, and found it a far less frantic, far more relaxing Asian capital city than, say Bangkok or New Delhi. Our city centre base, Hotel Stripes, was nicely situated just off the beaten track in Jalan Kamunting, a neighbourhood that was once the main settlement for the tin mining community in Malaysia’s colonial era but has since evolved into one of KL’s most creative, artistic districts. Hotel Stripes had just celebrated its second birthday, and exuded all the energy of the new kid on the block of boutique establishments, with the charismatic guest service manager, Reza Shahgholi, leading from the front. Our stylish bedroom on the 17th floor featured a very comfortable king-sized bed and sofa, and a floor-to-ceiling marbled bathroom with an extremely roomy shower. In many modern five-star hotels indifferent abstract paintings adorn the bedroom walls; in ours, a fascinating black-and-white photograph of the streets of a bygone Jalan Kamunting had been blown up and placed above the bed. Once more, the past cherished by the present. 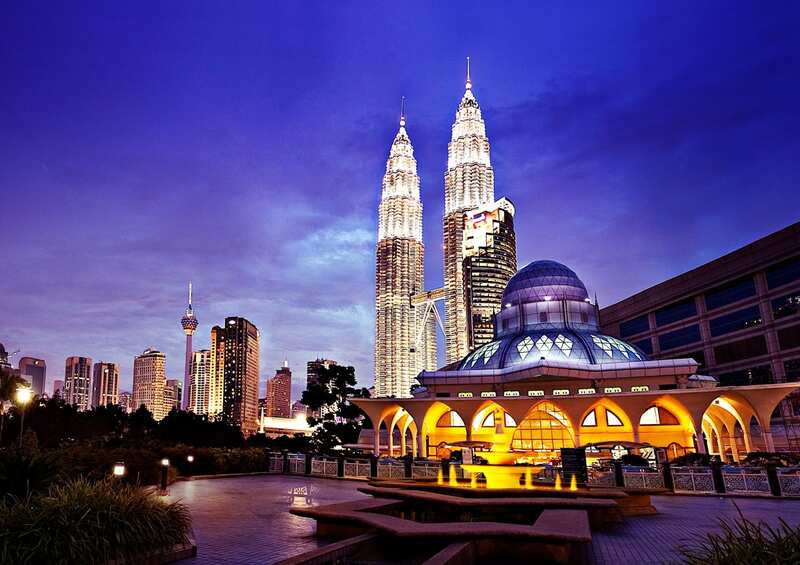 For more inspiration, read Johan Smits’ Things to Do in Kuala Lumpur without the Twin Towers. From The Stripes it a mere 15-minute stroll to the very heart of KL, Merdeka Square, where Malaysia’s first prime minister Tuanku Abdul Rahman declared independence from the British on 31 August 1957. On the day of our visit the celebrations for Chinese New Year were continuing, with dragon and lion dancers strutting their stuff and a variety of singing acts – some very young – proudly displaying their talents on stage in front of a collection of the city’s dignitaries, well dressed in formal clothes on a blazingly hot day. 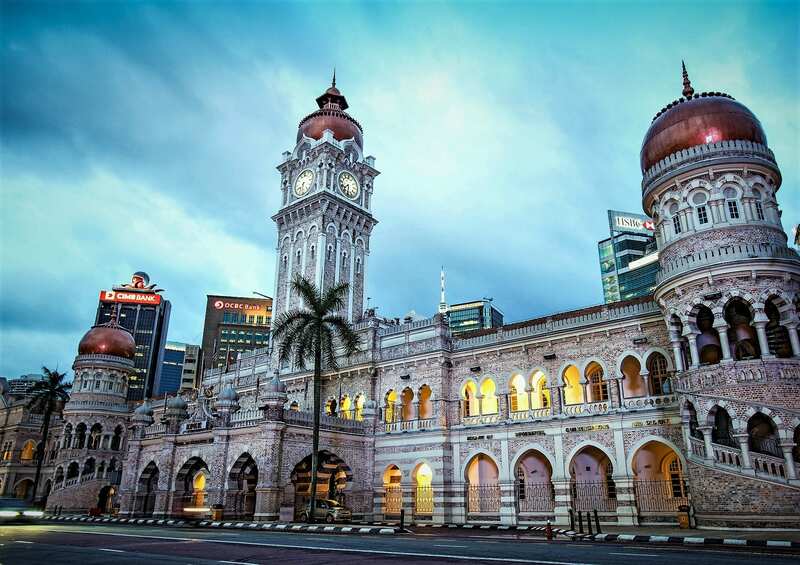 Splendid colonial administrative buildings – now mainly museums – remain around Merdeka Square, and we were also intrigued to discover a large sports field amid all the stone and concrete. Here, of all places, a couple of legendary cricketing feats unfolded. This field – originally the property of the adjoining colonialist watering hole, the Royal Selangor Club – was where a rough and ready Malaya side inflicted a sensational defeat on the mighty Australians (albeit without the great Don Bradman) in 1927. Then, thirty-seven years later, the brilliant West Indian Gary Sobers, playing for a Commonwealth XI, very nearly took six wickets in an over, a few years before he was to hit six 6s. Irritated at having been dismissed for a first ball duck, when it was his turn to bowl he dismissed five batsmen in five balls. History doesn’t seem to record how close he was to achieving six in six. Kuala Lumpur has plenty of green open spaces to counter the teeming streets and the fierce humidity. On the other side of Merdeka Square lie the Lake Gardens, where we opted to spend time in the Bird Park, billed as the largest of its kind in the world. On the park’s looped walkway we were never more than a few feet away from an exotic bird. 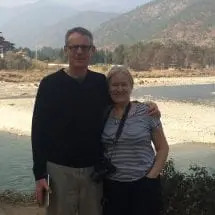 Amongst others, we encountered herons, storks, egrets, African starlings and – a particular favourite – the iridescent blue Western and Victorian crowned pigeon. A flock of magnificent flamingoes were in a flurry of excitement by the lake at their daily feeding time. Now – quite uniquely – we have our very own collection of peacocks and guinea fowl at home in Suffolk, so we felt very much at home amongst some of their brethren here. Although – and we would say this, wouldn’t we – we didn’t feel they were a patch on our boys back home. Nature is one thing, but KL is nothing if not unashamedly consumerist. And the capital’s cathedral of shopping, the Suriya shopping mall, is situated in the Petronas Twin Towers, once the world’s tallest building at 452 feet until it lost its crown to the Taipei World Financial Centre in 2004. Renowned Argentinian architect Cesar Pelli, aware he was effectively creating a national monument, incorporated sumptuous Islamic motifs and symbols into his design. But the towers are also influenced by Chinese numerology, with 88 floors and a postcode of 59088 – eight being a highly auspicious number for the Chinese. We took a quick turn round the opulent Suriya, resisting temptation from the likes of Gucci, Prada, Christian Dior, Alexander McQueen and Versace. We had actually come to Petronas not for high couture, but high culture – a concert by the Malaysian Philarmonic Orchestra in the magnificent 920-seater Dewan Filharmonik hall. Our senses were heightened when listening to a concert that brought together music of three continents across three centuries – Chinese composer Huan-Zhi Li’s picturesque Spring Festival Overture, the whimsical Cello Concerto by American innovator Mason Bates, and that masterpiece of pathos and passionate intensity – Brahms’ 4th Symphony. Judging by the long line of punters who queued up at the interval for the autograph of the star turn, young American cellist Joshua Roman, classical music is thriving in the capital city. 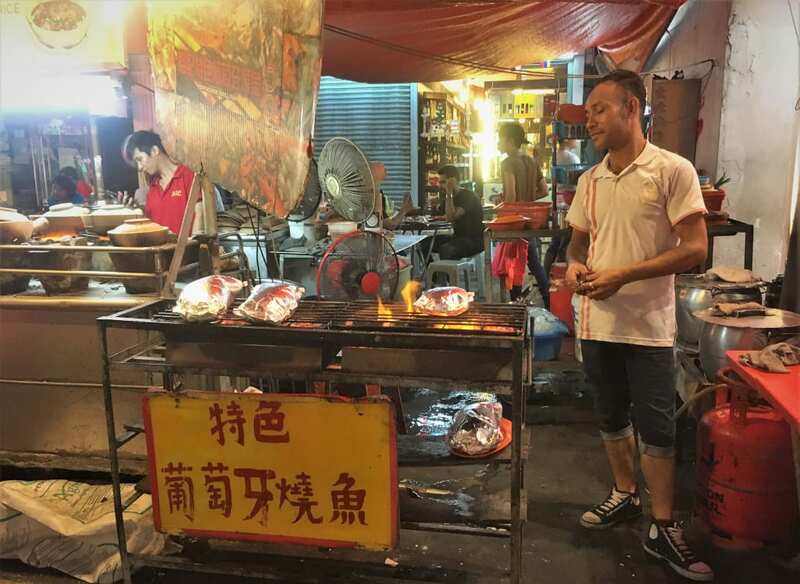 After the concert, wending our way through streets packed with revellers still celebrating the advent of the Year of the Pig, we headed for the rough and ready Jalan Alor for the best al fresco eating experience in town. Once it was the city’s principal red-light district, but now after dark Jalan Alor is transformed into KL’s ‘food kitchen’. Red lanterns are strung across street lamps, casting a warm glow on the hordes of people being wooed by food workers waving their plastic menus, attempting to entice them with photos of their specialities. Restaurant after restaurant line the street, while on the stalls opposite vendors fan grills of chicken and beef skewers. The air is thick with charcoal smoke and the constant metallic clang of frying woks. There are plenty of Thai and Malaysian options, but the accent is on Chinese, especially seafood. Despite being on the tourist drag, a trip to Jalan Alor still feels an authentic experience in this immigrant city. And a plate of chicken noodles and a Tiger beer costs only a few pounds. 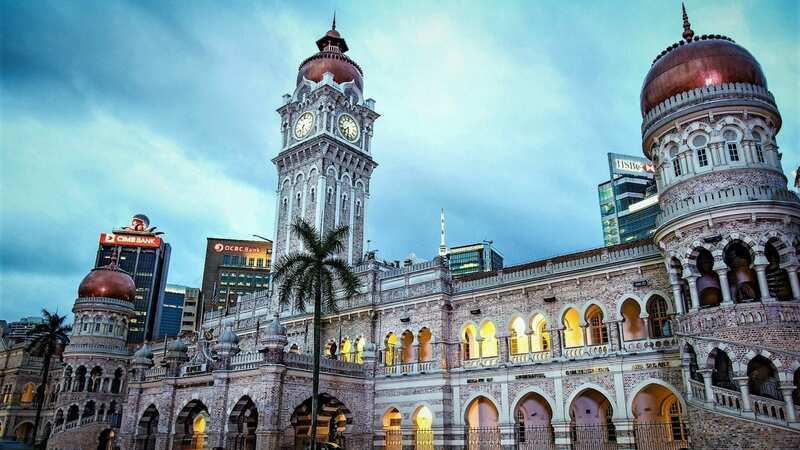 Kuala Lumpur has travelled a very long way since a group of Chinese tin miners established the first settlement there in the malaria-infested jungle in 1857. Now it is very much a 21st century city on the move. Which is exactly what we were going to do next, with the second leg of our Malaysian travel adventures to the northern Cameron Highlands. 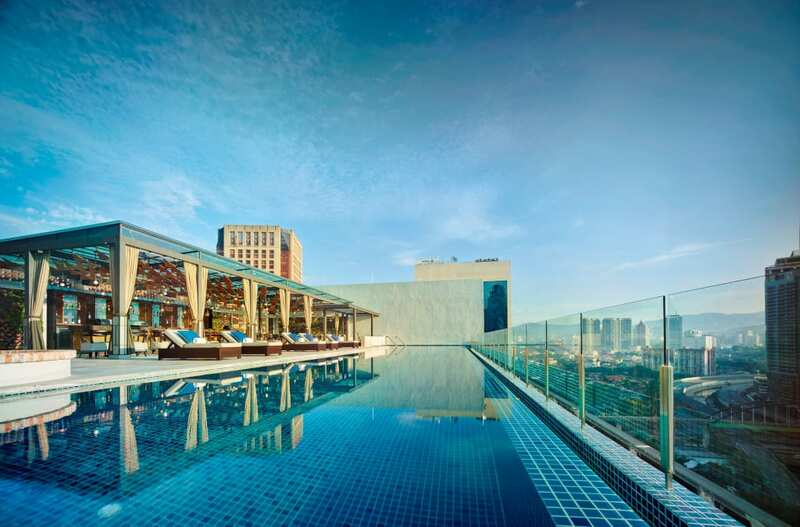 To discover more about the Hotel Stripes Kuala Lumpur, click here. Rooms start from £270.